Q: Susan, what’s the story behind the title of your book? A: I normally have a lot of trouble with titles, but not with this book. 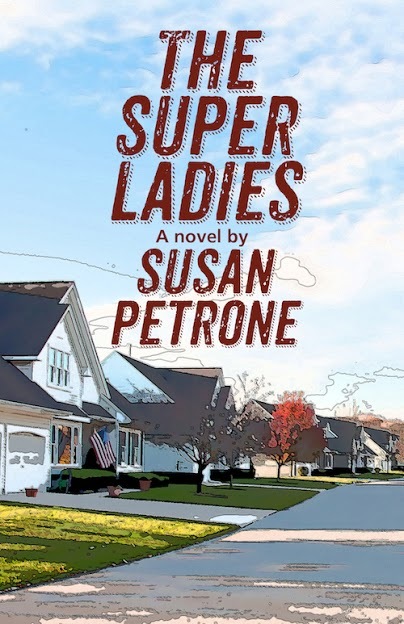 Once I came up with the concept of three friends who develop superpowers when they go through menopause, it couldn’t be titled anything but The Super Ladies. A: I live in Cleveland, Ohio. I went to college in Annapolis, Maryland for a time and lived for two years in Alkmaar, the Netherlands, but I always come back here. It’s home. A: My daughter was born in China; my husband and I adopted. Our hotel room in Nanchang had two double beds. We put her crib in between them because we both wanted to be next to her. Our daughter was tiny and lovely with huge eyes that saw simply everything. She didn’t cry, but you could tell she was a little wary of everything that was happening. The first night with her, I couldn’t sleep and just laid awake marveling at the glorious little being who was suddenly our child. Now that this dream of becoming a parent was a reality, I had an overwhelming wave of joy mixed with fear that I wouldn’t be up to the task. I wanted to be the parent this sweet, good-natured little baby deserved. The baby woke up and looked at me. We stared at each other for a moment, and I put my fingers through the wooden bars of the crib to touch her insanely tiny fingers. She reached out a tiny finger and touched mine back and gave me just the smallest hint of a smile. It was the first time she had smiled at either of us. It really felt like our first moment as mother and daughter. A: I’d save it for travel money. I think our next big trip is going to be Iceland. Either that or I’d sock it away in my IRA so I can retire earlier and have more time to write. A: I love swimming in Lake Erie (yes, you really can swim there) and the change of seasons. I know we can have some snowy, cold winters but that just makes you appreciate the gorgeous spring all the more. And the fall colors are breathtaking. A: I live in Cleveland, so the answer is “No.” That’s also another great thing about my hometown—no earthquakes to speak of, no mudslides, no hurricanes, no wildfires, no floods, no tornadoes. We’re pretty safe in that regard. A: When I was at college in Annapolis, Maryland, I used to take walks down to the docks to look at the water and the boats. That summer, there was a replica of a clipper ship called the Mystic Clipper that took people on overnight trips. I was an 18-year-old college freshman with no money and knew nothing about sailing. But I really wanted to go on the ship. I figured it I wanted it, I had to make it happen. I approached the owners of the ship and asked if they ever let people work for their passage. Now all of my sailing knowledge had come from reading The Voyage of the Dawn Treader in elementary school and going out in a little tiny sailboat twice that semester with the cute guy who worked in the boathouse and who tried to teach the basics. I didn’t tell this to the owners of the Mystic Clipper. If I have a superpower, it’s acting as though I know what I’m doing even when I don’t. The ship’s owners said “okay,” so the following Saturday, I showed up at the Mystic Clipper with a change of clothes and my toothbrush and went aboard. The crew was three or four young guys and, for that weekend, me. I helped in the galley and polished the brass and hoisted the mainsail and felt a little bit like a sailor. Then one of the guys said that we had to tie down the forestays on the bowsprit and did I want to help. I said, “Sure.” It turns out that the bowsprit is the long, pointed bar sticking out from the prow of the ship. There’s a thin cable running below it. You walk on the cable, over the water, while holding onto the bowsprit and tie down the forestays. I didn’t know this when I said “Sure,” but once I had committed, there was no turning back. They said the ship didn’t go “that” fast—maybe five or six knots—but looking down and seeing the wake from the ship’s prow and realizing that if I slipped I would surely drown made it seem as though we were going very fast. It occurred to me that maybe two people knew where I was that weekend. I don’t even think the owners of the boat knew my last name. I wondered what they would tell the college if something happened to me. One of the guys made his way out on the cable on one side of the bowsprit, expecting me to follow on the other side. After talking my way into this, how could I chicken out now? I screwed up my courage, put one foot on the cable and then the other, and made my way out over the open water. I tied down the forestay, and I didn’t slip, and it was exhilarating. A: Getting married in a foreign country to someone I had only known for six months. A: That being clever and in a hurry won’t get you published; you need to slow down and take your time and revise. A: If left to my own devices, I don’t get bored because there is always something to do or see or learn or think about. A: Oh my, I can’t even begin to list them. A: Breathing, being awake and alive. A: Thinking about something bad happening to one of my family or friends, especially my kid. A: Yes. I do communications for a research center at Case Western Reserve University. I also teach as an adjunct for Hiram College. A: I am still figuring that out. A: A 30-mile bike ride on a perfect morning, all by myself. A: I kind of want to be both. A: She was a damn good writer, and she made me laugh. A: Jane Austen and Kurt Vonnegut. A: I generally write at night after my family goes to bed, but that’s more out of necessity than preference. I work half time and am off one day a week. On my off day, I try to spend most of the day writing. We have a small house, but I’ve commandeered a portion of the second floor as my office. I typically write up there or at the library or coffee shop. A: I’m working on a few things, but my next book will be called The Heebie-Jeebie Girl. It’s about a seven-year-old girl who can pick the daily lottery number and her great-uncle as they try to find the guys who robbed her grandmother. I keep telling people it’s a bit like Crime & Punishment in 1977 Youngstown only with jokes. 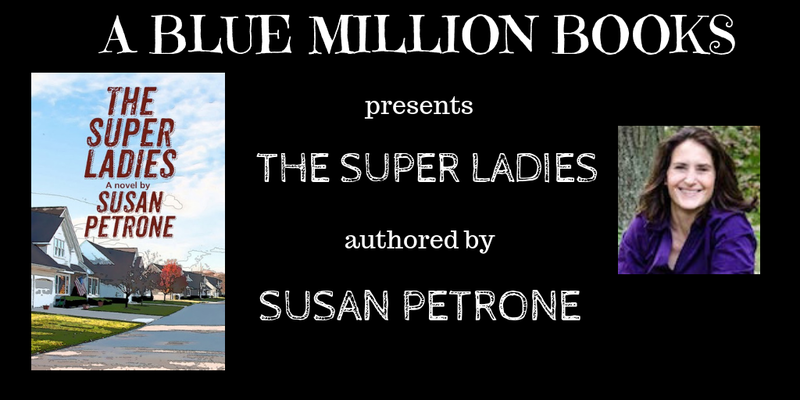 Susan Petrone’s short fiction has been published by Glimmer Train, Muse, Conclave, and Whiskey Island. 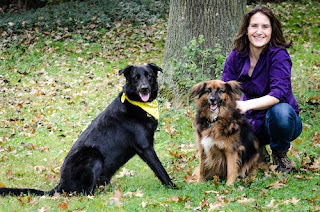 She is the author of the novels The Super Ladies (2018), Throw Like a Woman (2015), and A Body at Rest (2009), which won a bronze medal for regional fiction from the Independent Publishers Book Awards (IPPY). Her short story, “Monster Jones Wants to Creep You Out” (Conclave, 2010) was nominated by the editor for a Pushcart Prize. On the non-fiction side, Susan’s work has appeared on ESPN.com, and CoolCleveland.com, and she co-owns the Cleveland Indians blog, ItsPronouncedLajaway.com, for ESPN.com’s SweetSpot network. She is also one of the co-founders and board member of Literary Cleveland. Susan lives with one husband, one daughter, and far too many animals in a little house near some medium-sized woods.